With a comprehensive range of tyres held in stock we can supply tyres for cars, 4×4’s and vans, from 8 inch right through to 22 inch, including latest RUN_FLAT tyres. We are confident our tyre prices are very competitive; from leading high-end brands to the more commonplace budget makes , we can cater for the needs of all our customers without any compromise in either quality or safety. 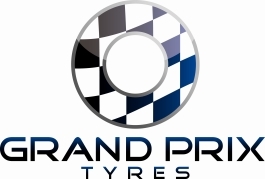 Within the province of Northern Ireland, GRAND PRIX TYRES are the sole appointed importer and distributor for GENERAL TIRE with their superb range of German engineered and American produced tyres for cars, vans and 4x4s/SUVs. We are also proud to be the authorised dealer for MARIX REMOULDS tyres. This award-winning range of tyres is produced in Italy by MARANGONI Spa. The innovative and ecologically sensitive ethos behind the MARIX REMOULD range make these the most environmentally friendly tyres available today. In 2009, we were honoured to be selected by Marangoni as the N.Ireland distributor of MARANGONI Premium high performance car tyres. The unique WARRANTY scheme available on Marangoni new tyres offers you FREE protection against all damages that your tyres may incur!